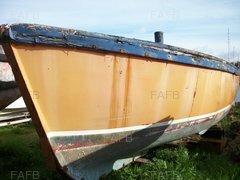 Boat has been salvaged, Hull is in good condition (no holes) requires engine and electrics to buyers standards . Inchcape Class Offers Caledonian Canal. Gairlochy.